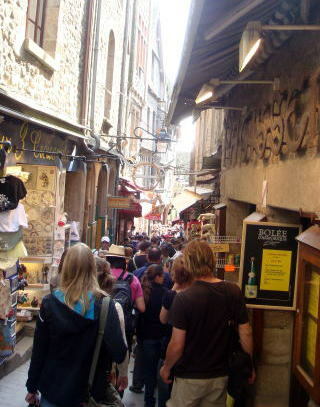 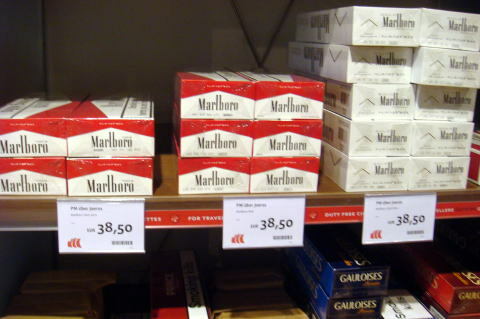 The prices for Malboro and other a brand cigarette is 5.4 Euros to 5.9 Euros, at Marseille, Fance. 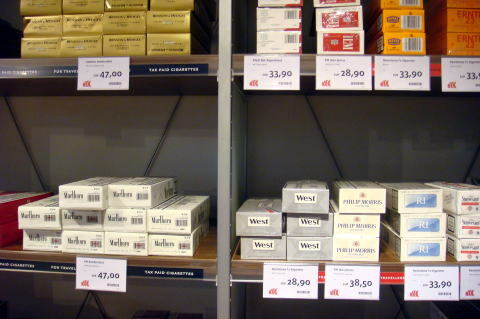 and Malboro are 38.50 Euros and 47.0 Euros, respectively. 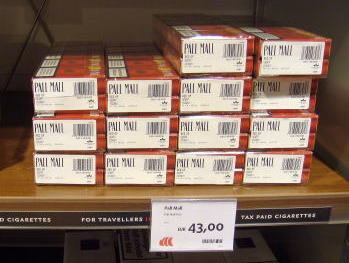 In London st the Heathlow international airport, the price of Malboro is 65.0 Pounds. 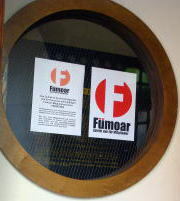 Tobacco advertisement appeared in the underground free passage from Monaco's station to the downtown and yacht harbour. 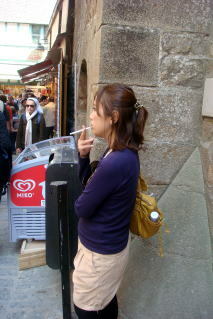 No other tobacco ad was observed in Monaco. 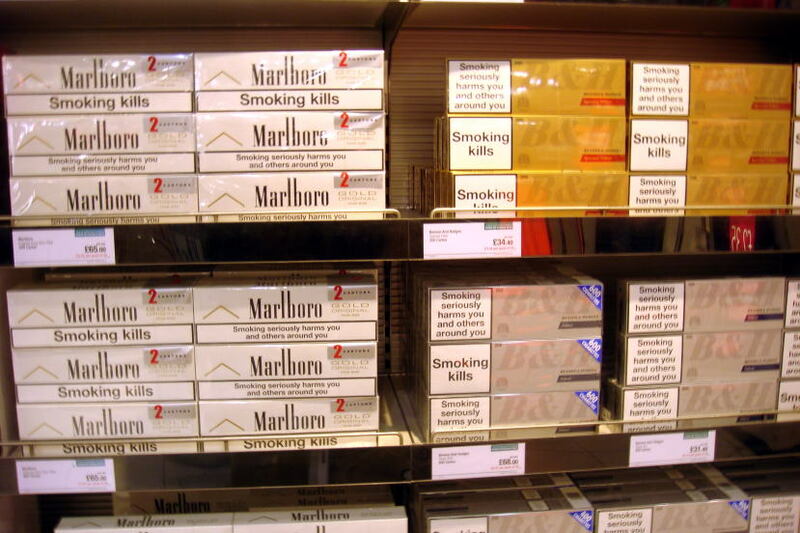 Was this tunnel built by a donation of the tobacco company? 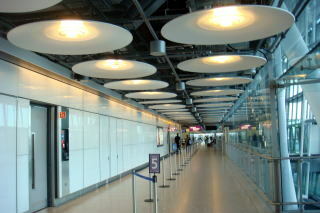 A Terminal-5 building of Healthrow airport opened in 2008. 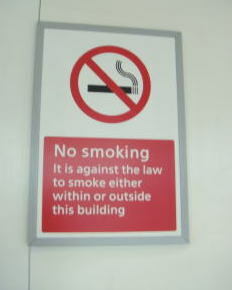 No smoking is allowed inside and outside building. 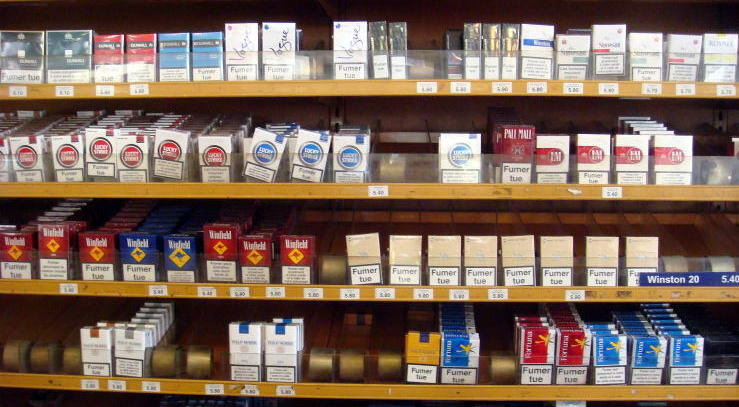 smoking areas may not offer any service, in an effort to prevent exposure to smoke by workers. 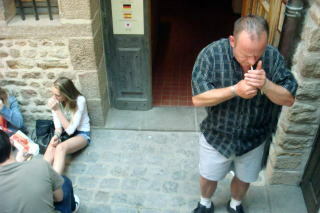 second-hand smoke. 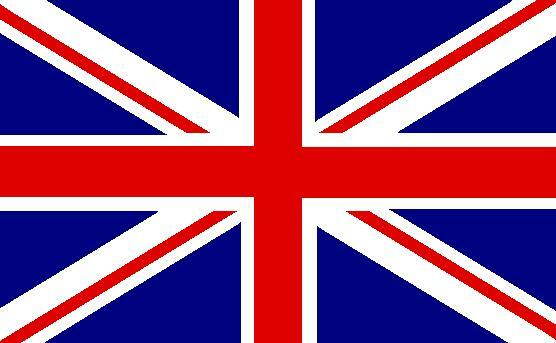 Scotland, Wales and Northern Ireland already have been similar bans in place. 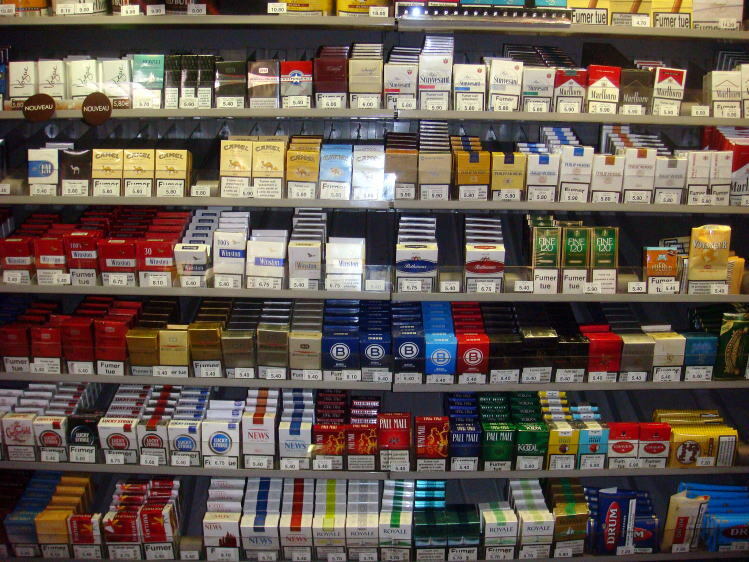 to quit, and discourage children from taking up the habit. 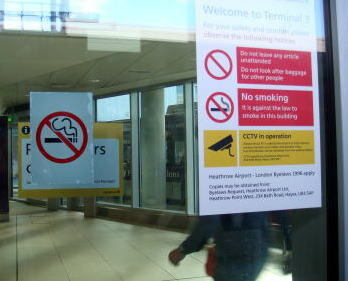 There are no-smoking facilities anywhere in the terminal building in the Airport Healthrow. 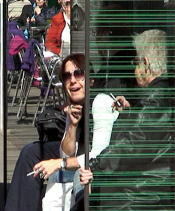 People caught illegally smoking could be fined up to 200 pounds. 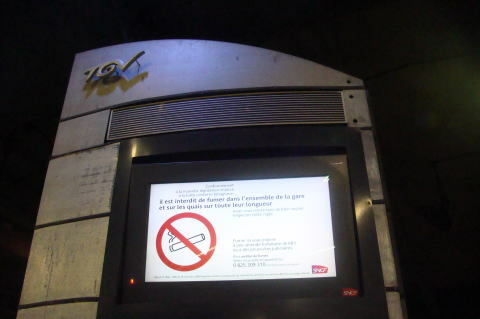 (L) A sign board that prohibits smoking in the train of SNCF (R) Station staff was smoking outside their office at Marseille railway station. 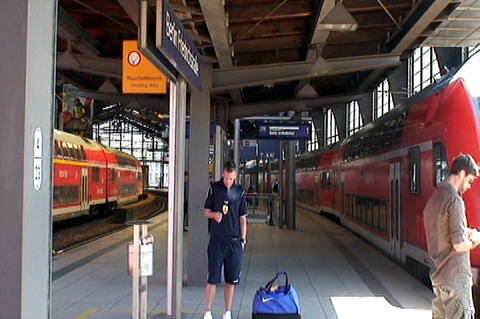 A train passenger was smoking on the plateform, during a short stop at Mannheim station. 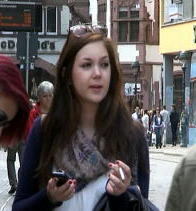 (M) Smokers are talking with tobacco in their hands outside of the Strasbourg station. 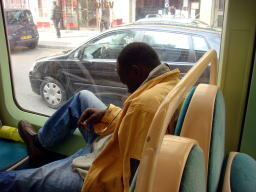 who used the tramcar for the duration of one stop, without buying a ticket. 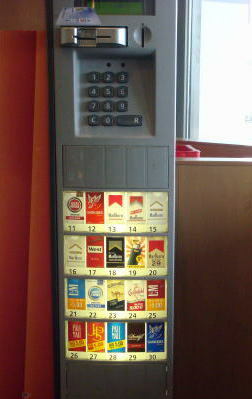 (R) An automatic vending machine for tobacco sale, observed in Berlin Tegel International Airport. 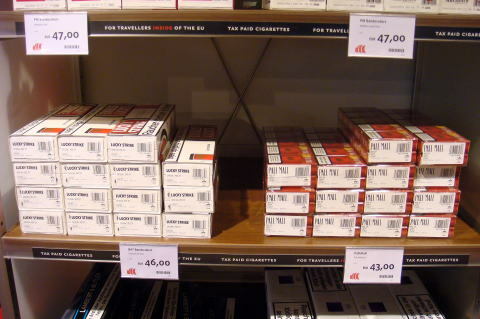 The price of Malboro and Lucky Strike is 5 Euros per pack. 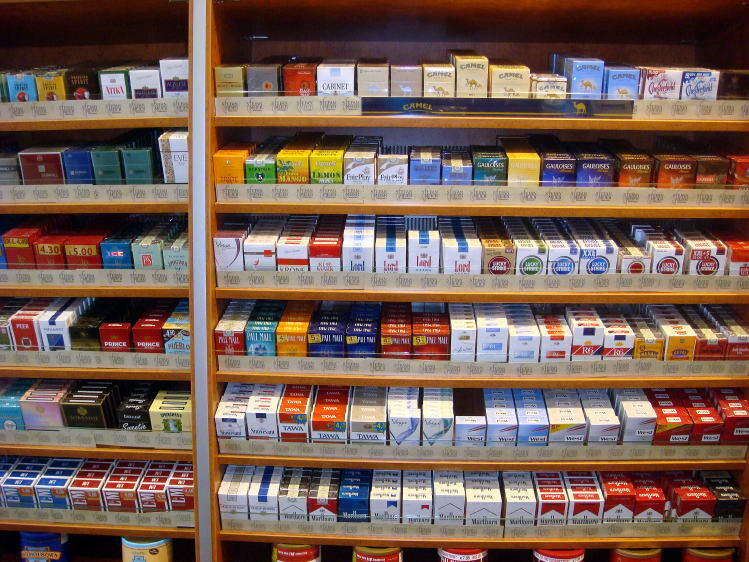 You first put the number of tobacco goods, and insert a credit card or put a coin in order to buy. 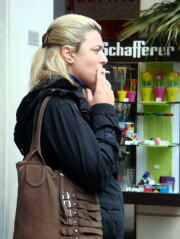 Smoking is allowed in a bar in Basel. 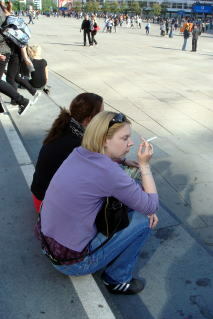 Smokers. 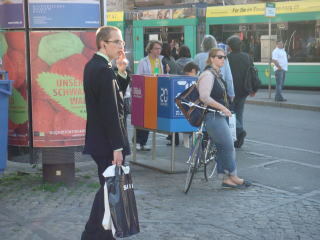 The sign plate was observed in the business town of Basal, Switzerland. 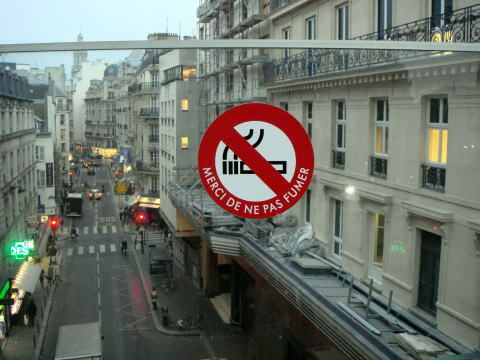 A widespread ban has been into force in France on smoking in workplaces since February 2007.
restaurants, bars and clubs. 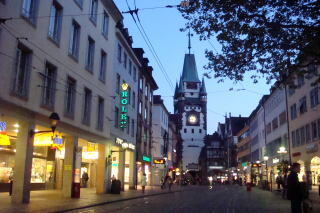 In October 2007 Hesse also passed a law with similar regulations. 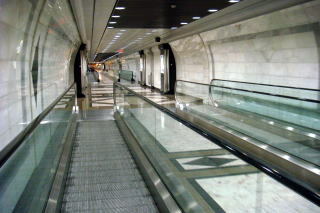 airports and in public and federal buildings, including the parliament. 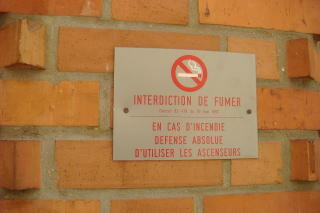 smoking ban is applied to all restaurants, but not bars. 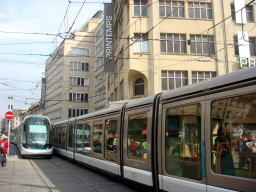 Information was added in July 2013.